Tesla Motors was founded in 2003 in California's Silicon Valley as a start up enterprise to produce electric vehicles with performance. The first prototype was completed in July 2006. Purchase reservation were started in 2006 and production was initiated in March 2008. 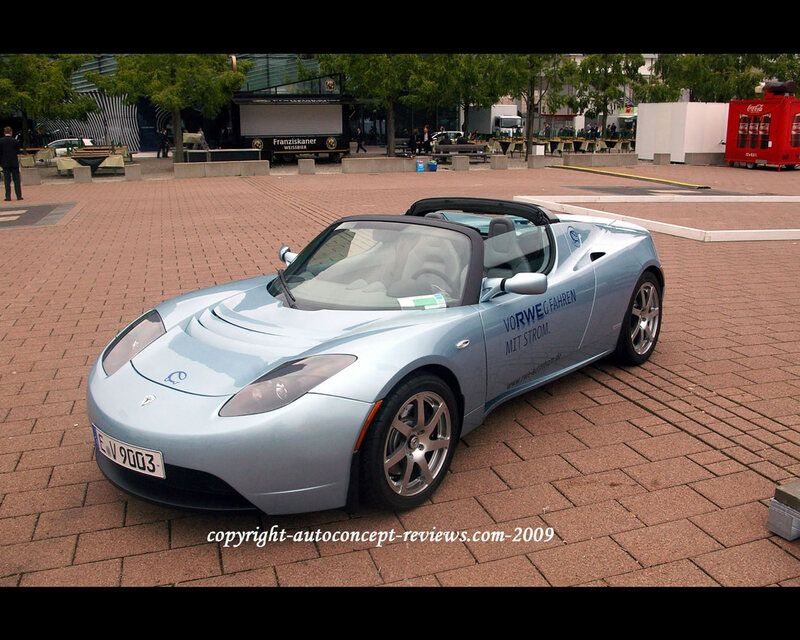 The first Tesla model is the 2 seats roadster that sells for a little over US$ 100.000 in the United States. 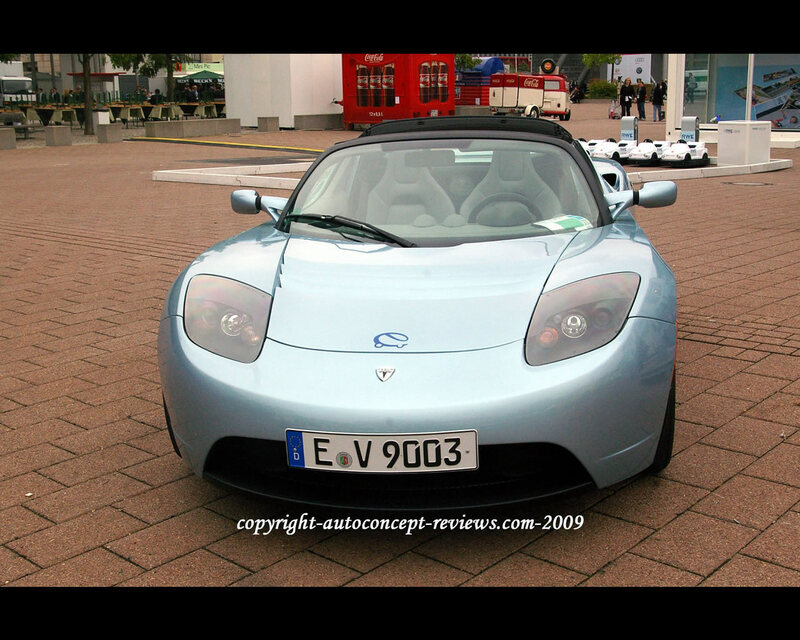 Starting from 2009, the Tesla Roadster is available on European market for Euros 99.000 with a limited quantity to 250 cars per year. 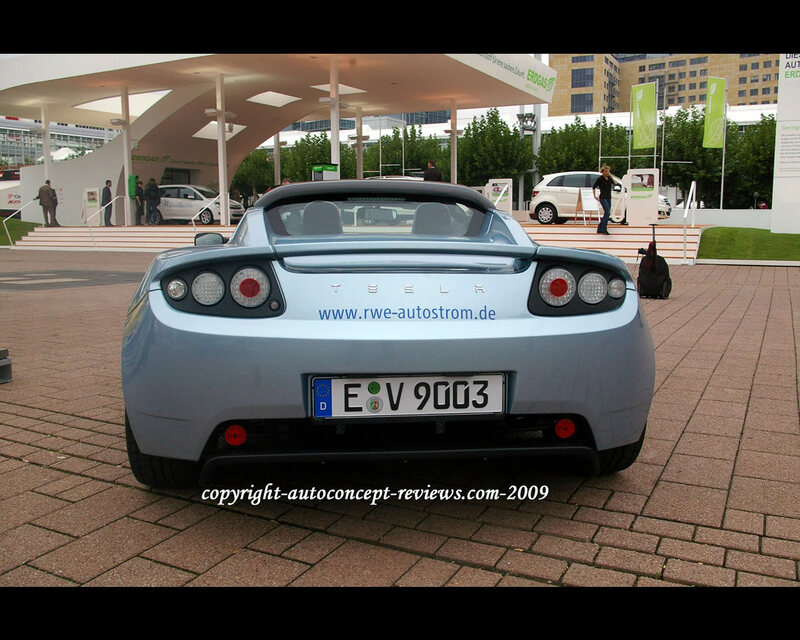 During the Frankfurt Motor Show, Tesla delivered its seven hundredth car overall. 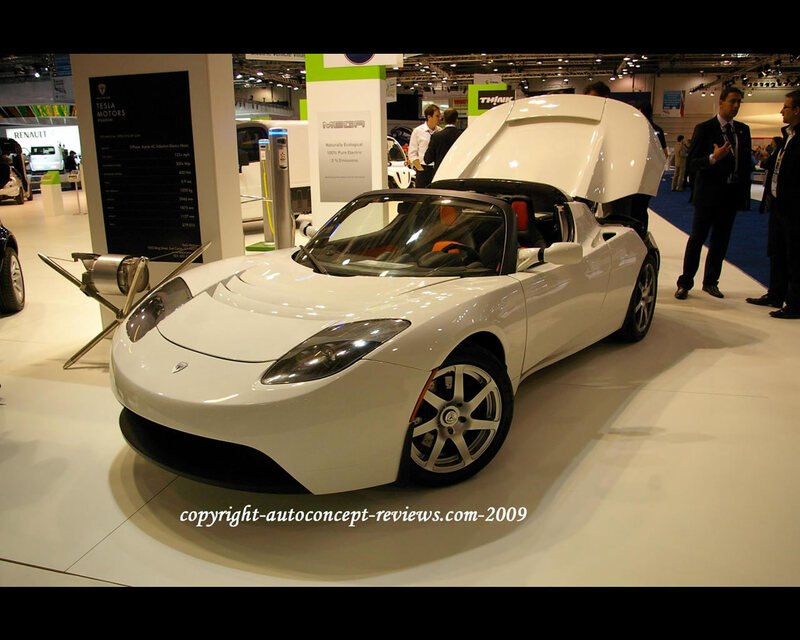 The key element of the Tesla Roadster is its lithium-ion battery package that include some 6.900 lithium-ion battery cells assembled in modules to facilitate the cooling. This 450 kg (estimated) Battery package is mounted in front of the rear axle for optimizing the weight distribution. 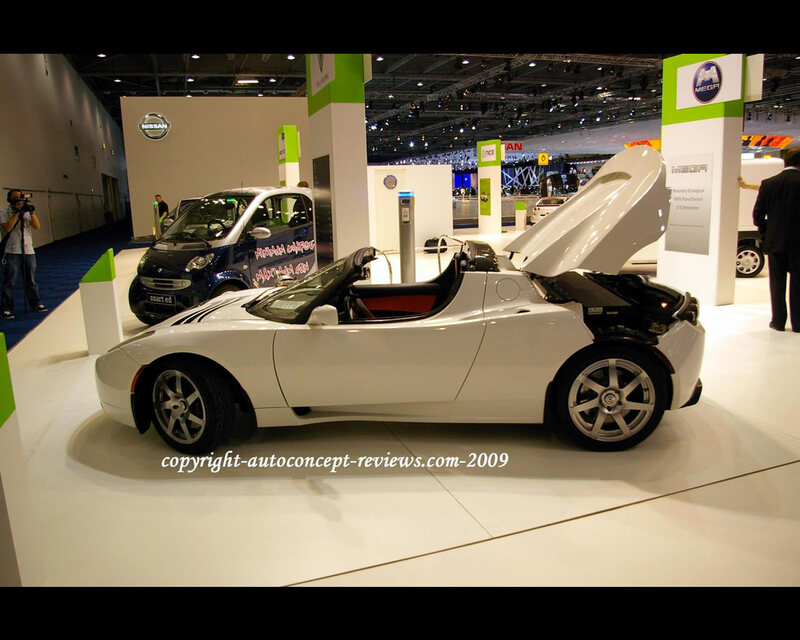 A 185 kW ( 250 bhp) 3-phase electric motor is installed between the rear wheels that it propels. The maximum torque available is 380 Nm at 0 to 5.500 rpm. 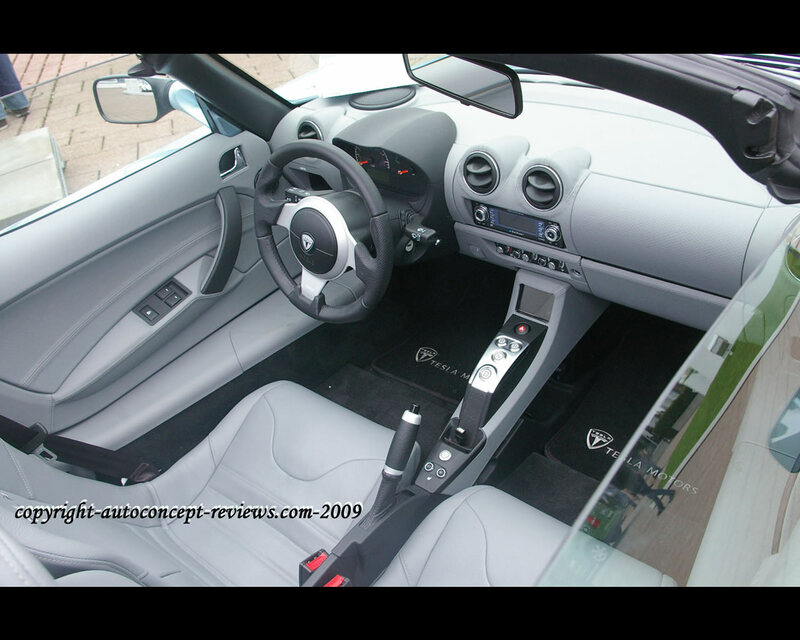 The electric motor has a 14.000 rpm redline and regenerative braking capability. The motor operates through a single speed gearbox and allows 0 to 100 kph (62 mph) in 3,9 seconds while the top speed is quoted for 200 kph (125 mph). The quoted range for one charge is 393 km (244 miles). Charging time is announced at 4 hours on a 63 amp outlet. 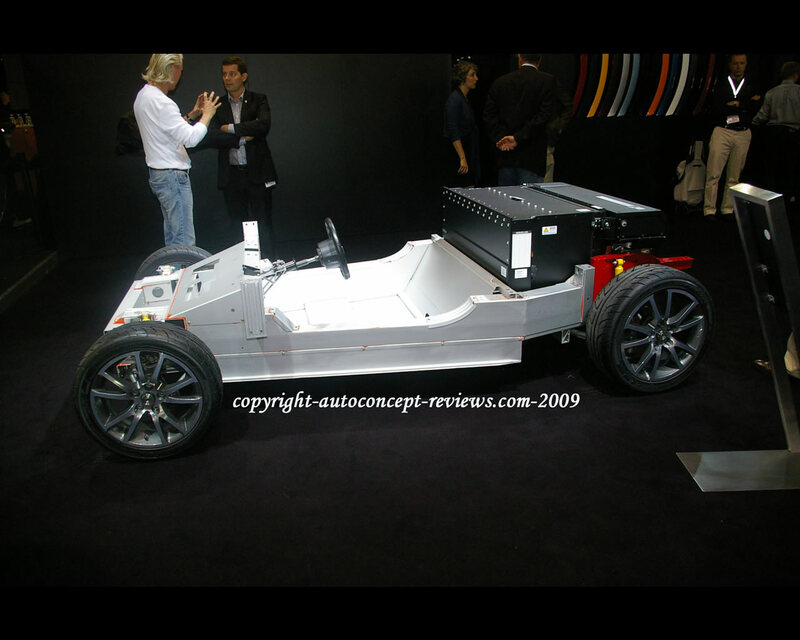 The chassis is made of bonded extruded aluminum elements. The body is made of hand crafted carbon fiber composite. 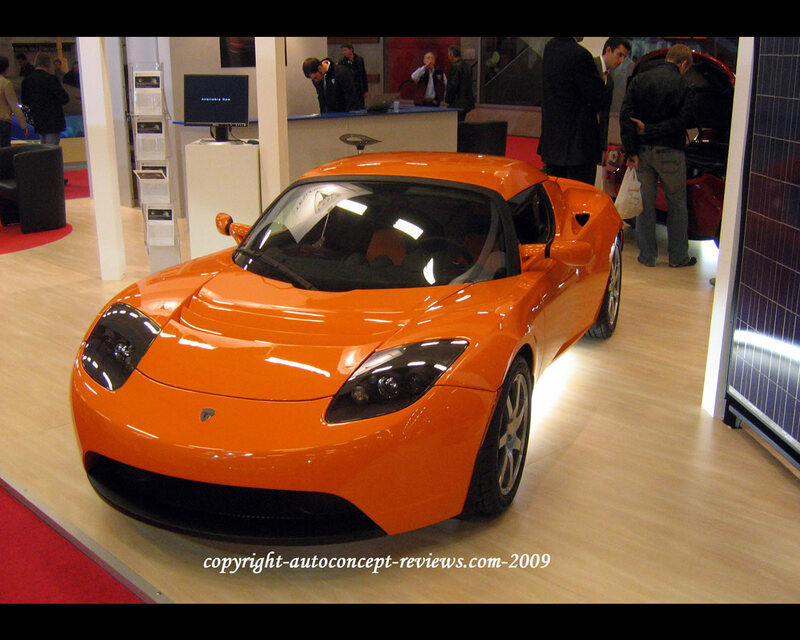 Total weight of the Tesla Roadster is 1.238 kg. In May 2009, Daimler Benz acquired a 10% stake at Tesla initiating a new partnership on the road to electro-mobility. Daimler Benz will start production of up to 1.000 units of the second generation Smart ForTwo Electric Drive at its Hambach plant in France.